Last week I was feeling a bit sad as Mr Soaring Sheep had to work away for an extra day. We've slipped into the routine of him working away Monday-Thursday and then we have Friday's together. 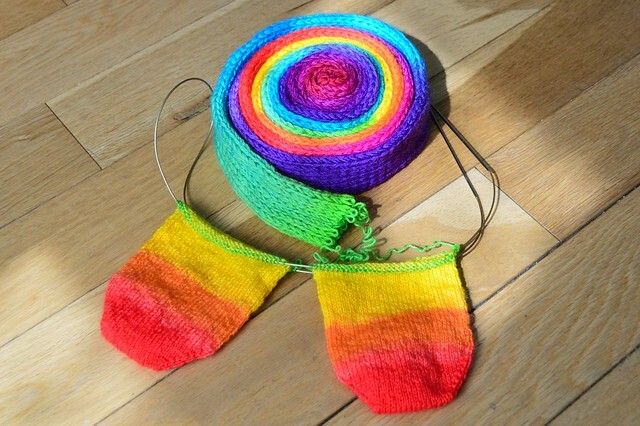 And of course you've got to cast on a gradient rainbow straight away. Does anyone else have some happy yarn they've bought recently? I'd love to see. This yarn is cheerful! I've recently got an amazing gift yarn from a fellow knitter, I am enjoying it so much! That is gorgeous! I have been knitting with Ms. Babs 'Yowza - Whatta Skein' that makes me happy. I will have pics on the blog later this week. I am anxious to see the progress on your socks over the next week or so! That's so cool how this sock yarn is presented. We wives are real woman warriors holding down the fort while the men aren't around. 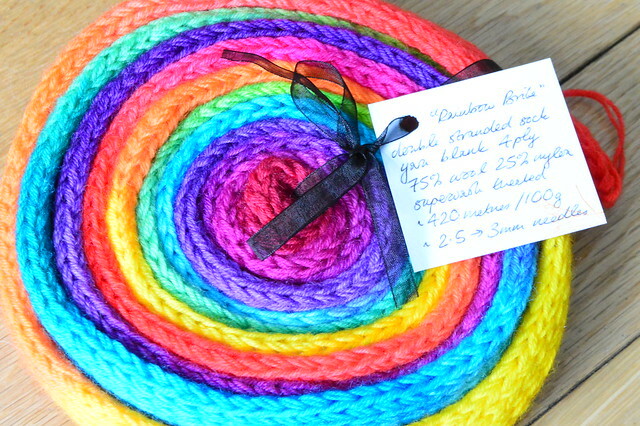 lovely lovely vibrant yarn!! I miss my husband, he's been working crazy hours!